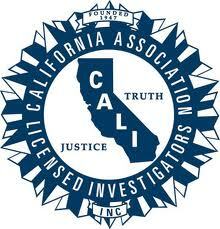 The California Association of Licensed Investigators announces the 2013 CALI Annual Conference, the largest private investigator conference for new and seasoned PI's, security professionals, law enforcement officers, and attorneys on the West Coast. Join us in the heart of the Silicon Valley for "Investigations for the Digital Age" on June 6-8, 2013. This year's conference is filled with top-notch speakers from around the country. Headlining our keynote speakers is Dr. Henry Lee, the foremost forensic pathologist in the world and the "Pathologist to the Stars" in Hollywood. He will share his many insights and stories, gathered over dozens of years as the head of the Los Angeles Coroner's office. Additional speakers include: Dean Beers, Kris Buckner, Patrick Clancy, Tom Mauriello, David Queen, Chris Reynolds, Chris Woodson, David Russo, Paul Starrett, Michele Stuart, Jack Trimarco and more. A preconference, Internet Profiling and Intelligence Gathering, featuring Michele Stuart will provide step by step in-depth research techniques utilizing online and open source databases located on the web to assist in locating 'hidden' information. A Newly Licensed Investigator Training and Enrichment Course that will cover the basics of how to be a successful PI and a business owner in the State of California. Attendees will learn what laws they need to be aware of, ethical issues, and professional responsibilities of a PI. There will be sample documents and templates for carrying out an investigation provided, as well as a certificate of completion. Friday night's festivities will include a Casino Night. Enjoy a night of food, drink, and dancing while playing Craps, Blackjack, Roulette, Poker, or one of the many other casino games that we'll offer. Trade in your winnings for great prizes! The 2013 Annual Conference Golf Tournament will be held at the San Jose Municipal Golf Course. This mature course features newly renovated greens and a straightforward layout with open fairways. The layout is perfect for golfers of all abilities. Keep up with technology - view the latest products and services offered by the many vendors in our exhibitor showcase. There will also be several opportunities for networking with your peers. Join us Saturday evening for the President's Banquet and Awards Ceremony. This semi-formal event will honor CALI Officers and Directors for their contribution throughout the year. The 2013 President's Award will be presented. The evening will close with the presentation of the distinguished Achievement Award. Don't miss the PI event of the year. Early Bird registration ends May 10th! Register Today!